This is my first foray into this world, so I am still learning how to be a blogger. HTML is so sensitive and I am constantly editing posts so the %$#$ links work and I struggle to get all the content working right. And what’s all this business with plugins anyway? I decided to install one of these mysterious plugins to see what would happen if I did. It thought that if I could learn to use it I could fancy myself a “real” blogger. After some diligent shopping, I installed Counterize — a plugin that allows you to monitor public information about who is looking at your page and if they hit your page as a search result, what search terms they used to get there. I installed Counterize and have checked it from time to time. At first, nothing happened in the search results column, because my blog was too new to have been caught by the search engine ‘bots. After a few weeks, however, I did get a hit for someone looking for information on Treacher-Collins Syndrome, the subject of my inaugural post, Facing Life. I am going to go drink a bottle of wine. 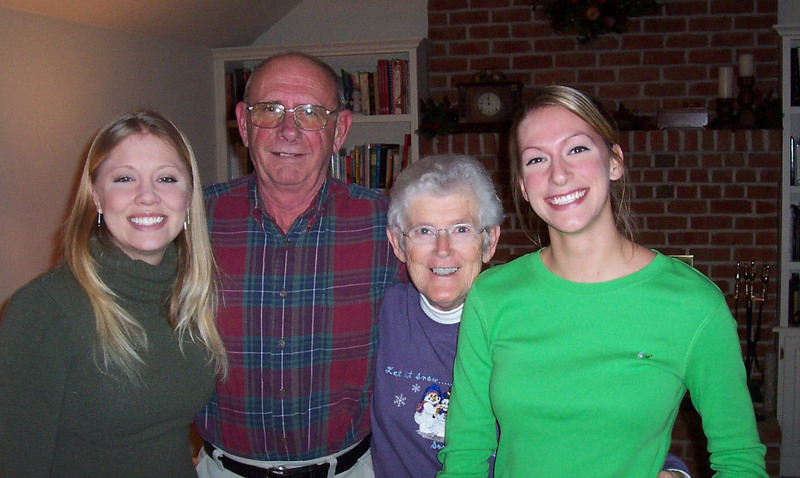 I write this post to celebrate the retirement of my daughter’s elementary school principal. We are celebrating a long career that really went on for way too long, and should have ended some years ago, perhaps before it even began. Why the effusive expression of adoration, you might wonder? Let me start with my best and favorite example. About a year ago, the following letter came home from school in Allison’s backpack. Today, one of our autism students pulled the fire alarm at our school. We had a needless evacuation of all of the students and staff, and the local fire department and police department responded. Fortunately, the disruption was brief. We’re asking all of you as parents, to sit down and talk to your children about the consequences of a false alarm so that they understand the seriousness and importance of this. We thank you for your continued cooperation in helping us make our school a safe environment for all of our students. The utter cluelessness of this letter exists on so many levels. The best part is the openly discriminatory attitude it takes toward “the autism students.” Can you imagine if he had said, “today, one our [Black, Hispanic, Jewish, Asian] students pulled the fire alarm . . . ,” or called out some other immutable characteristic as though it were germane to the discussion? I guess it might have been relevant if he had pointed out that this “autism” student was non-verbal (nope, not my daughter, but good guess) and therefore could not appreciate his act, but that this was a good opportunity to remind people about the importance of safety. Not to mention that as in loco parentis, it is the school’s fault that this child was not supervised properly and pulled a fire alarm. But no, that’s not what his intent was in writing this note. His intent was to call out the “autism” students because they were the “others,” the interlopers the County forced into his school with their high-minded ideas about education for all and such. This attitude pervaded Allison’s time at the school. A time that is fortunately, coming to an end. While I really thought Allison’s teachers were very kind, hard-working and tried very hard to help Allison, I really think the leader sets the tone, and Principal Doofus made it clear that were not welcome there. Remember when James Jay Lee took hostages at the Discovery Communications building? That was back-to-school night, and Allison’s school is right near that building, so all of the back-to-school events were cancelled. When Principal Doofus rescheduled them, he “forgot” to include the autism program parents on the invitation, so we had no back-to-school night. When people pointed out the mistake, we received no apology, and no rescheduling so we could meet and talk to our children’s teachers. This year, Principal Doofus’ staff “forgot” to include the names and contact information for all of the autism program’s families in the school directory. Did they re-print new directories when they realized the mistake? No, they did not. They simply sent the children home with a note, mentioning we weren’t in there and suggesting that if anyone would want to contact us (don’t know why you would), you get our contact information directly. Another memorable event occurred the morning that Neil went to drop Allison and me off at the front door because we had an IEP meeting for her there, and that violated some rule for pulling up the semi-circular driveway that existed for a thirty-minute window. Neil had not noticed the sign. Principal Doofus was on the case, immediately screaming at us, as we pulled up. It was ridiculous. I got out of the car with Allison and he continued screaming at me – DON’T YOU SEE THE SIGN!! CAN’T YOU READ!! YOU CAN’T BE HERE. I stopped dead in my tracks. Parents and children on their way in to the building were staring at us. The unwanted “autism student” and her family, breaking the rules because we were too stupid to understand how it NEEDS TO BE, were just exemplifying all the reasons why we should not be allowed to disrupt this wonderful school community. I had nothing else to lose, so I lost my temper with Principal Doofus – SIR, YOU NEED TO CALM DOWN AND GET OVER YOURSELF! TAKE AN ‘EFFING ‘LUDE! WHAT? THAT’S RIGHT, YOU HEARD ME, TAKE A *&%*(#* LUDE!!! I walked right past him into the school. He charged in behind me to the front office, looking to continue the argument. Bad idea. That kind of behavior is not something someone in my situation easily forgives, or looks past. So, thank you for your retirement, Principal Doofus. It could not have come a minute too soon you curmudgeonly, old, bigoted hag. Now take an ‘effin ‘lude, would you? NB: The principal’s page on the website says it all. Rosemary Hills ES – Principal. A few months ago, I was sitting in bar with some acquaintances in my profession. It was late and we’d all had a bit to drink, when somehow the conversation turned to health care reform. Yes, we were and are on dangerous ground, but you knew I was going to get political at some point, right? I can’t believe that there are people that are supposedly intelligent and educated that seriously believe that. You may be healthy now, but God forbid, if you are ever hit by a bus, I don’t think you will be so healthy then. And who will have to foot the bill for you? We [read: the rest of us] will, and it’s because you could never pay back what it cost to take care of you, even if you turned over every dollar you made for the rest of your shortened and severely limited life. The only way you can credibly take that position is if you will give me permission, when you are hit by the bus, to step over your prone and dying body on the ground. That was not my inside voice. I actually let that one out. I probably should not have been so biting, but I take this issue very personally. Every time someone tells me that they should not have to buy health insurance and pay for all the sick and fat people, it is equivalent to telling me, “I don’t care what happens to your children. I hope they die.” If you think that’s an extreme point of view, I’d encourage you to think about it again – my children are uninsurable in the private market. If my husband and I were to become unemployed or die, they would need to live on Medicaid to survive. If you think that’s adequate health care coverage, I suggest you give up. I can’t help you. The great irony of all of this, of course, is the mandate provision was the result of heavy-duty lobbying by the insurance industry. If they were going to be forced to pick up every adult with diabetes or child with autism, they wanted insurance against the phenomenon known as adverse selection. People like my uninformed colleague, who don’t purchase health insurance until they are sick, could leave the insurance companies with a high-risk pool that is rapidly depleted because premiums can never compete with claims. This is the only time you probably will ever hear me say this, but the insurance lobby was right. They need the mandate and it’s only fair to them. After all, in the present system, we pay for the uninsured anyway. Those without insurance call 911, and get a ride to the one place where they are not allowed to be dumped onto the street without being stabilized – the emergency room. Me: How can we help you today ma’am. Pt: Well, my sugar is 642 and I need some insulin. But I don’t have enough money to get my insulin and I need a ride to the hospital. Me: Off we go, then [gestures toward the ambulance]. This happens quite frequently. And this is the most expensive way imaginable to administer care to the uninsured. When they can’t pay, the hospital simply passes the cost on to you and me. So the next time you get a hospital bill and the Tylenol is $28, you know why. Pundits are now speculating the Supreme Court’s opinion will be out by the end of the week and we will learn whether there is likely to be real health care reform in this country. I actually am not a fan of the Affordable Care Act. I would have wanted a single-payor system, but I recognize that it was the result of necessary compromise and it is better than what we had. Regardless of your political persuasion, I think we can all agree that we need reform in this country. If you think the current system works just fine, spend some time in any U.S. emergency room and I think it will persuade you otherwise. But if that still doesn’t persuade you, consider the following statistics about our health care system. The United States spent more than the entire GDP of Great Britain on health care in 2009. CMS Report Says Health Care Spending Was 17.3% of GDP in 2009 | Swampland | TIME.com. The United States’ infant mortality rate is higher than in Cuba, the EU, Japan and we are right behind Croatia. CIA – The World Factbook. A 2009 study revealed nearly 1 in 4 Californians under age 65 has no health insurance. No Health Insurance California | About 1 in 4 in California lack health insurance, a UCLA study finds – Los Angeles Times. Problems in claims processing cost the U.S. approximately $210 billion year. And the list goes on and on. Still not convinced? Ok, that’s fine. If you could just sign this document that says if you have an accident, we can just skip past you in favor of the guy who paid $100/month for health insurance coverage . . . . The autism community is focused on an issue of great importance right now — the definition of autism in the to-be-published 5th edition of the Diagnostic and Statistical Manual for Mental Disorders (DSM-5). For those who aren’t familiar with the DSM, it is the “Bible” of mental health professionals everywhere for diagnosis of “psychiatric” disorders. There are proposed changes to the definition of autism in the DSM-V that are currently under review and open to public comment. The changes seem pretty dramatic on their face — Asperger’s Syndrome will be deleted and subsumed under the umbrella of “Austism Spectrum Disorder” (“ASD”) Under this same umbrella will be what is now known as HFA, or high-functioning autism, and Pervasive Developmental Disorder (“PDD”). What will be moved out of the DSM-V entirely are genetic disorders with a known cause that sometimes have autistic features, such as Rett Syndrome, Fragile X, and Tuberous Sclerosis. There have been thousands of comments received already, and the comment period is open until June. People without much reason to know this information (we call them Neurotypicals or NT’s for short) wonder why this is so important. Of course, if you ask different people you will get different answers, but my best effort at summarizing it is that many people diagnosed with Asperger’s will not meet the new criteria for ASD and will fall into a new diagnostic category, or fall out of having a diagnosis altogether. This problem, referred to as “same child, different diagnosis,” threatens to create confusion on the entitlements to specific therapies and educational services people receive. Theoretically, it should not matter. People receive specific educational services because the law requires that each person with a disability has an individualized education plan and the specific education that they receive is tied to what works for them and is not anchored solely by a diagnostic label. Those of us who have children with IEPs know, however, that theory is not practice. One asserted reason for the definitional shift is that many individuals with Asperger’s take issue with the terminology surrounding autism as a “disease” that needs to be “combatted.” That criticism is well-taken. I think I heard it said best by John E. Robison at one of his lectures. He said that he had issues in trying to pass the Combatting Autism Act because he didn’t feel autism was something like cancer, that had no real value to the person who had the cancer. He valued his autism and thought it brought him many opportunities he would not have otherwise had. The solution, he said is to mitigate the the disabilities that autism may cause. In some people, unfortunately, autism causes a lot of disability. I’d like to advance the radical notion that it is time to remove autism (in its many forms) from the DSM entirely. Although it can have many behavioral manifestations from avoidance of eye-gazing to outright aggression, it is primarily a neurological condition and not a psychiatric one. I am continually amazed that Alzheimer’s disease is also still in the DSM. A psychiatric disease, like depression, may interfere with your desire to get dressed in the morning, but autism may interfere with your ability to do so. It is not my intention in taking this position to enforce the unfortunate social stigmas surrounding many of the traditional diagnoses in the DSM. The reasons I believe autism has no place in the DSM are: (1) unlike classic psychiatric conditions, there is no place for talk therapy in treating some of the core disabilities of autism; and (2) removal of autism from the DSM will focus us on the underlying cause of the condition and bring greater scientific rigor to the process. What is the basis for removing all of the other “autism-like” conditions from the DSM, like Rett’s, that have a known genetic cause, but not removing autism itself? Aren’t all of the other cases of autism just undiagnosed genetic/environmentally caused, but by a mechanism or mechanisms we don’t understand? Why is autism primarily an educational problem and not a medical problem? This difference, although seemingly subtle, could cause a shift in thinking for the better. Particularly in the way that autism is perceived by the public. We’re all familiar with the ignorant rants of people like Michael Savage. But there is much more benign and harmful ignorance, if you will, that is just as detrimental to the understanding of autism. I could provide many examples, as could anyone who has autism or loves someone with autism, but I will recount one that is particularly painful. 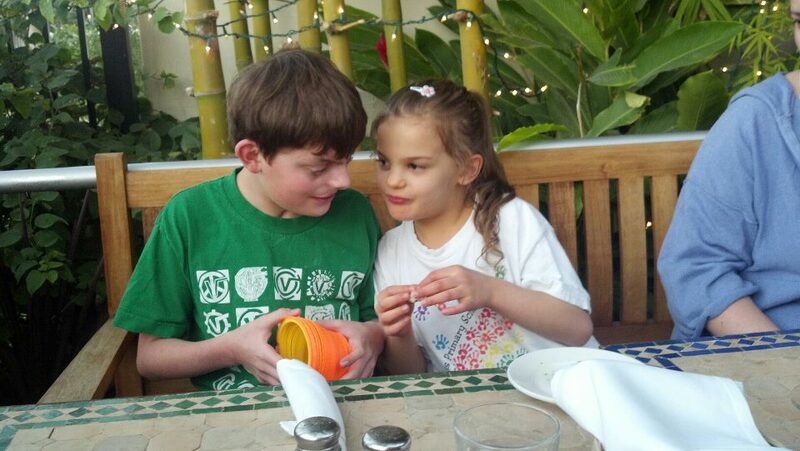 Some time ago, when my daughter was being diagnosed with autism, I went through a period where I was particularly devastated — I had multiplied the number of special needs children I had by two. At the same time all of this was happening, I was also up for a promotion at work. Great timing, I know. In any event, in the law firm world, promotions are generally handled by committees and a memorandum is written supporting that person’s candidacy. I was particularly busy and didn’t have time to arm myself with information, but that memorandum is generally reviewed by (if not drafted by, with editorial approval of the authors) the candidate himself or herself. My superior lied to me and told me it was not — he was going to write it and I could not see it. She also makes more sacrifices than others do to be here and do a good job every day. She has two young children, both with the same emotional disorder. Hmmm. I guess he knew that if he wanted to put that information in there, I would want to remove it. Well, he was right about that. Of course, I felt betrayed by the revelation of such personal information without my permission. I could have looked past that, however, if he had bothered to inform himself that my children do not have an emotional disorder. My daughter does not dress herself not because she does not want to, she does not because she can’t. My son has language processing problems that make expressing complex ideas difficult and frustrating for him. The hubris of a person who believes that they have any idea what my kids — or any children with autism, for that matter — go through every day in this world without spending time with them is fundamentally a narcissist. But to some extent, he held the incorrect perceptions he did because the methodology for diagnosing autism is set out in the same place (and is supposed to be performed by the same professionals) as anorexia or borderline personality disorder. Again, none of this is intended to suggest that any psychiatric disorder is any less “real” than autism. Psychiatric disorders are very real, and so is cancer, but no one would advocate that you put the criteria for staging tumors in the DSM. We owe the people who are coming into this world in the thousands with autism the opportunity to be something other than the 1950s stereotype of the cold, anti-social, distant child. This candid snapshot was taken over the winter holiday by my husband of my children at a restaurant while we waited for our dinner to arrive. Do these people look like they want to be in this world alone to you? That kind of judgment that comes with experience obviously can’t be taught, but perhaps the “nose for trouble” that comes with practice alone is not enough to be good at what you do. Atul Gawande, in his book Better, A Surgeon’s Notes on Performance , talks about the importance of vigilance, borne out of a desire for betterment. In the introduction of his book, he tells a story about an old woman who “didn’t feel good,” much like the EMS patient I had. He recounts that this woman came into the ER at the hospital when he was in his residency, and he thought she was probably fighting an infection, and that’s about all the thought he gave to her. The senior resident, however, was not so sanguine. He thought she “didn’t look right,” and so he went back to check on her twice between rounds. As a result, he caught the fact that she did, in fact, have pneumonia and the infection had progressed to sepsis (an infection in the bloodstream), which can rapidly be fatal. As a direct result of his diligence, he spotted her sepsis fast enough to avoid having to put her on a ventilator and she was released in a few days. Gawande attributes the senior resident’s instincts and more importantly, his vigilance, as critical in changing this woman’s outcome. “What does it take to be good at something in which failure is so easy, so effortless,” he wonders. He concludes that one of the essential ingredients to be good is diligence — that this makes a doctor better. Competence is not enough. His lessons are equally applicable to almost any discipline. The legal profession would be well-served by this sort of self-reflection. One place where I think it matters greatly is in parenting. And no where is the necessary diligence as challenging than in parenting the child who can not tell you what is wrong or what is bothering him or her. Parents of infants and those special children with whom the world can never communicate must read subtle signs and be ever vigilant. So, on this Mother’s Day, my hats off to those of you who pursue whatever it is you do with a sense of diligence, whether it is being a great teacher, mother, caregiver to an ill family member, a nurse, a doctor, or EMT. You truly are better for it. Clara Beatty, Girl With Treacher Collins Syndrome And Deformed Face, Learns To Navigate World. This week saw another news story about a child born with a facial difference who almost did not come into the world. 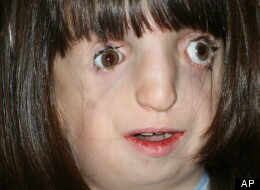 Clara Beatty, age 9, has Treacher Collins Syndrome (“TCS”), a craniofacial disorder with a known genetic cause. It frequently causes hearing problems (ranging from hearing loss to total deafness) and breathing difficulties caused by a narrow airway. It does not typically have neurological or cognitive effects, and there are very successful people living productive lives with TCS. Clara was almost not Clara because her parents (they were living in Belgium at the time) were told by doctors that most people in their situation abort. When is it ever ethical for doctors to provide “ultimate advice” like this, as opposed to simply providing the parents with information about the condition (which is plentiful in the Internet age)? You may be surprised to find out that ethical or not, it happens regularly, all over the world. This is a direct function of the inherent paternalism in our system of medicine — the patient is incapable of grasping the full import of the diagnosis, so choices must be made for the patient. An army of doctors and nurses were at a conference with families who knew from first-hand experience what those benefits and burdens were, and rather than hear it from the families, they chose to discuss among the ignorant. This example epitomizes the hubris that is all-too-common in the profession — patients and families have nothing to teach. The article contains another, implicit issue. The focus of the discussion in the story is on how Clara appears different. The underlying message is that the doctors told Clara’s parents to abort her because she would never look like everyone else. Clara eagerly anticipates her facial growth so she can have some surgery and look more like everyone else, so people will stop asking questions and staring. Every year, we take our son to a top-rated craniofacial clinic, and every year, some doctor rolls in and makes a suggestion about some possible surgery or procedure that will “normalize his appearance” or will make him “look better.” My response is always the same: this is our son’s face, not ours, and we don’t make the decisions about it. If he asks for surgery, we can discuss it, and he can go ahead with a thought out decision about it, but we and he must do so with a sense of realism — he will always look different from other people, and the fact that is a problem is not his problem to be surgically corrected, but the rest of the world’s problem, which unfortunately, can not be surgically corrected.